Written in the 90th year after the firm’s founding the book covers just about half that era. Citroën’s own Belle Époque followed right on the heels of that period of the same name in French history that is usually dated 1871 to 1914 when the start of World War I so rudely ended that era’s optimism and peacefulness. The Belle Époque was distinguished by scientific discoveries, new technology, and a flourishing art scene. All these are evident in André Citroën’s creations. While mostly associated with his eponymous cars, Citroën deserves great credit for championing the use of herringbone, or double helical gears (from whose distinctive grooves is derived Citroën’s chevron logo) in his own cars and even earlier in the Mors cars of which firm he had been a director since 1908 and eventually bought outright. 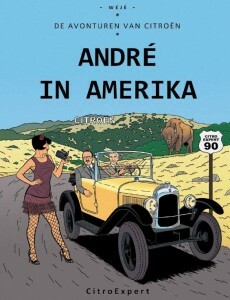 If you are a Citroën person you will surely recognize Wouter Jansen’s name as that of the author of several marque books and the 1996 founder, with publisher Fred Jansz, of the eclectic Dutch magazine CitroExpert that took the place of the defunct French Citroën-Revue to which Jansen had been a regular contributor. 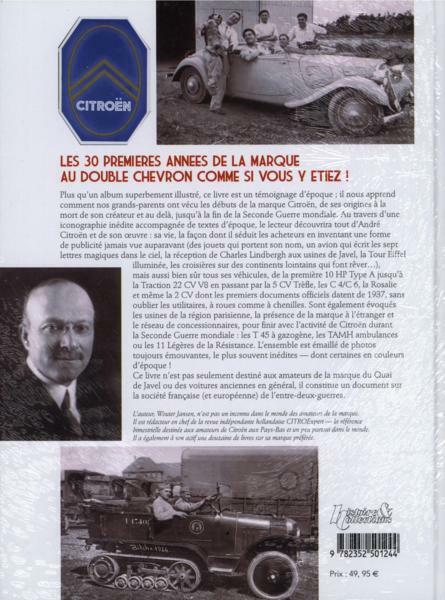 CitroExpert celebrated its 90th issue with a special edition about Citroën in the US (left) which André had first visited in 1912. 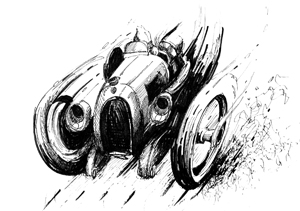 The meeting with Henry Ford is, in fact, where this book begins because it influenced André’s thinking and set him on the path to becoming the world’s fourth-largest automobile manufacturer during the period covered here. 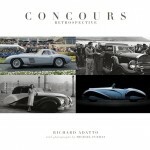 From the very first page, the book makes a strong and confident impression. Color, graphic devices, typography and even paper, ink and reproduction reveal skill on all parts. The brief Foreword by Denis Huille, the minder of corporate heritage at Automobiles Citroën, is a bit too perfunctory and low-key but Jansen’s Introduction amps up the volume. A really nicely designed timeline offers key moments from André’s 1878–1935 lifespan. 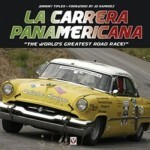 It may be only after finishing the book that you realize how much he achieved in these mere 57 years. 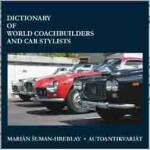 The chapters are divided into types of passenger cars (ending with the 2CV), military applications (halftracks etc.) and utility/commercial vehicles. These are in basically chronological order although there is of course overlap between all these vehicles. 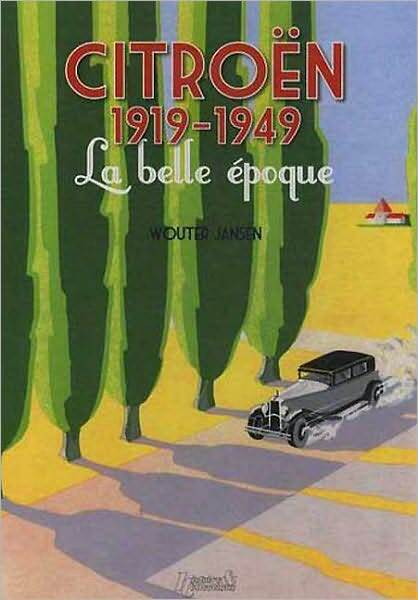 Separate chapters cover Citroën’s rightly famous marketing, the factory, dealers and service outlets, the export market, and World War II. There is no Index, quite typical for French books and always regrettable. The illustrative material is sourced from company and private archives, introduces much new material to the printed record, and is utterly vast in scope. From period photos to blueprints to ads to handbooks and sales brochures to—song lyrics, no stone is left unturned. The book is large, 9 x 12.5″, and so none of the illustrations has to be small. 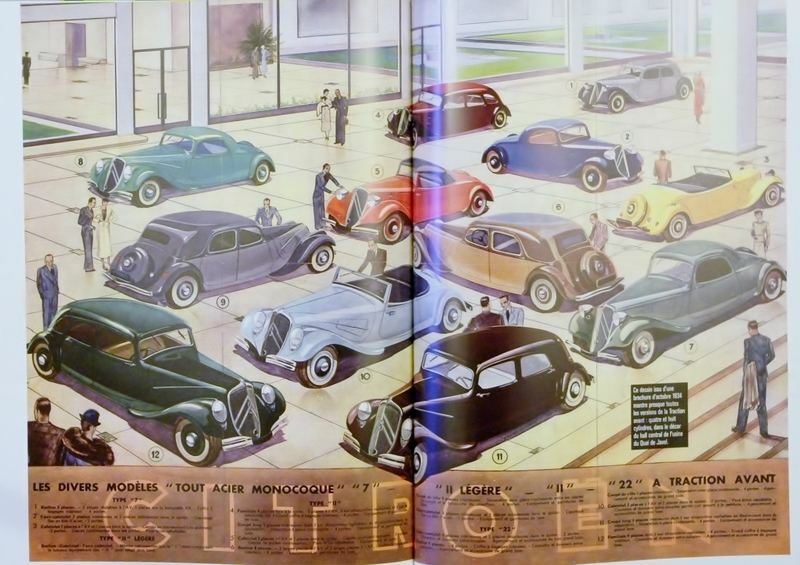 There are some real gems here (children’s pedal cars, the Kegresse system, the labs at the factory, the Sahara expeditions) and several color illustrations are reproduced on spreads (a cutaway of a 10 hp, a showroom interior). So, yes, as we said in the beginning, being able to read the words adds a great deal, but the marvelous illustrations alone and the supremely beautiful production make this an irresistible selection. How anyone can produce this much book (printed in Spain) for this little money is as much a mystery as why no publisher has yet signed on to produce an English edition! 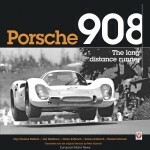 At least, thanks to US distributor Casemate, the book is easily available through mainstream channels.